Batteries: proton prototype; mitigating dendrites; Li-ion structure. A team at RMIT University built a prototype rechargeable proton battery combining hydrogen fuel cells and battery-based electrical power that has the potential, with further development, to store more energy than currently-available lithium ion batteries. 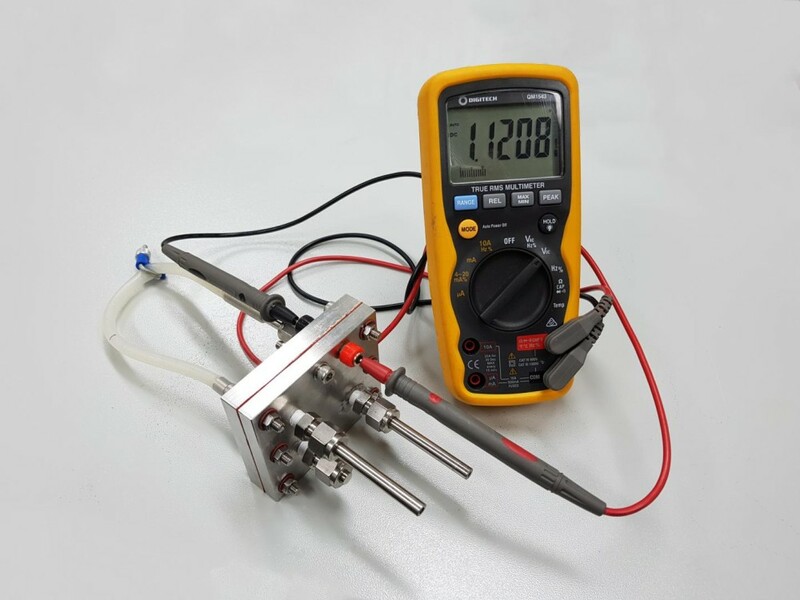 The working prototype proton battery uses an activated carbon electrode for solid-state storage of hydrogen with a reversible fuel cell to provide an integrated rechargeable unit. During charging, protons produced by water splitting in a reversible fuel cell are conducted through the cell membrane and directly bond with the storage material with the aid of electrons supplied by the applied voltage, without forming hydrogen gas. In electricity supply mode this process is reversed. Hydrogen atoms are released from the storage and lose an electron to become protons once again. These protons then pass back through the cell membrane where they combine with oxygen and electrons from the external circuit to re-form water. A major potential advantage of the proton battery is much higher energy efficiency than conventional hydrogen systems. The losses associated with hydrogen gas evolution and splitting back into protons are eliminated. Experiments showed that the small proton battery, with an active inside surface area of 5.5 square centimeters, was able to store around 1 wt% hydrogen in the electrode, or about as much energy per unit mass as commercially-available lithium ion batteries. This was before the battery had been optimized. The maximum cell voltage was 1.2 volt. Potential applications for the proton battery include household storage of electricity from solar photovoltaic panels, electric vehicles, or scaled up for medium-scale storage on electricity grids. Researchers from Arizona State University and Rice University found a way to reduce the growth of dendrites in lithium metal batteries, extending the battery life and reducing the chance of battery fires, by using a 3-D layer of polydimethylsiloxane (PDMS), or silicone, as the substrate of the lithium metal anode. The technique could be applied to both lithium-ion and lithium-air batteries, and has implications for other metal-anode-based batteries, said the team. 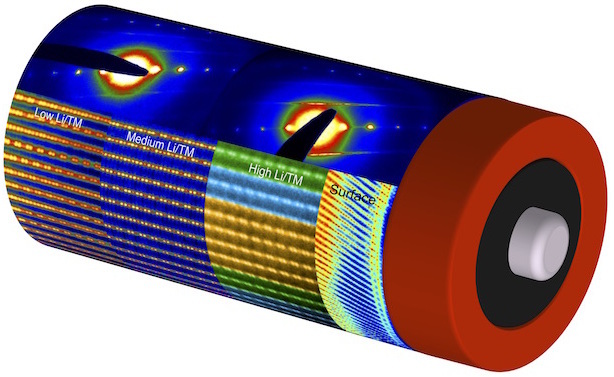 To extend the life of lithium-metal batteries while maintaining their high energy density, the team gave the PDMS substrate a three-dimensional form with a lot of surface. “By synergistically combining with other lithium dendrite suppression methods such as new electrolyte additives, the finding has broad implications for making lithium-metal batteries a safe, high-density, long-term energy storage solution,” said Ming Tang, a professor at Rice University. A team from Lawrence Berkeley National Laboratory, SuperSTEM, the Austrian Academy of Sciences, and Envia Systems showed how the ratio of materials that make up a lithium-ion battery electrode affects its structure at the atomic level, and how the surface is very different from the rest of the material. Using a suite of electron microscopes at the National Center for Electron Microscopy (NCEM), a Molecular Foundry facility, and at SuperSTEM, the National Research Facility for Advanced Electron Microscopy in Daresbury, U.K., the research team found that while the atoms throughout the interior of the cathode material remained in the same structural pattern across all compositions, decreasing the amount of lithium caused an increase in randomness in the position of certain atoms within the structure. By comparing different compositions of cathode material to battery performance, the researchers also demonstrated it was possible to optimize battery performance in relation to capacity by using a lower ratio of lithium to other metals. By systematically varying the ratio of lithium to a transition metal, the research team was able to study the relationship between the surface and interior structure and to measure the electrochemical performance of the material. The team took images of each batch of the cathode materials from multiple angles and created complete, 3-D renderings of each structure. The researchers also used a newly developed technique called 4-D scanning transmission electron microscopy (4-D STEM). In transmission electron microscopy (TEM), images are formed after electrons pass through a thin sample. In conventional scanning transmission electrode microscopy (STEM), the electron beam is focused down to a very small spot (as small as 0.5 nanometers, or billionths of a meter, in diameter) and then that spot is scanned back and forth over the sample. The team contends that knowing how the internal and surface structure of a battery material changes over a wide range of chemical compositions will aid future studies on cathode transformations and could also lead to the development of new battery materials.